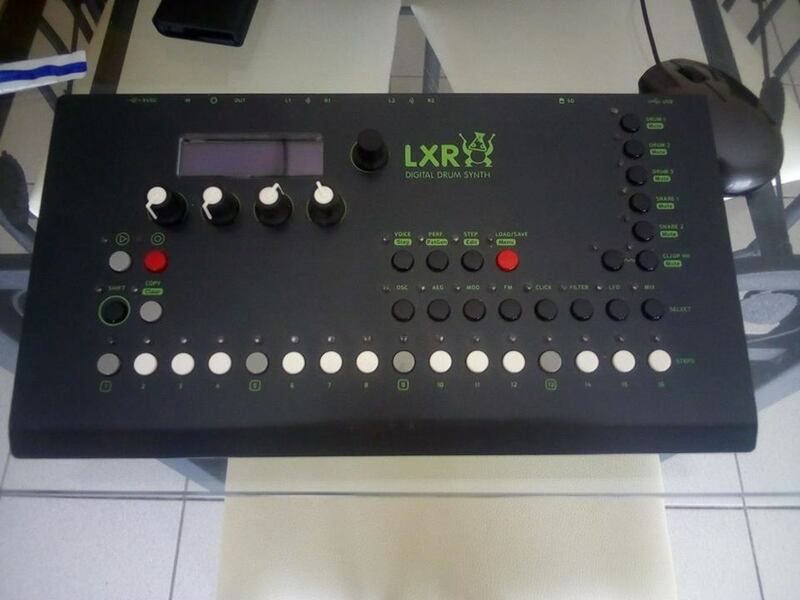 LXR, Drum Machine from Sonic Potions. 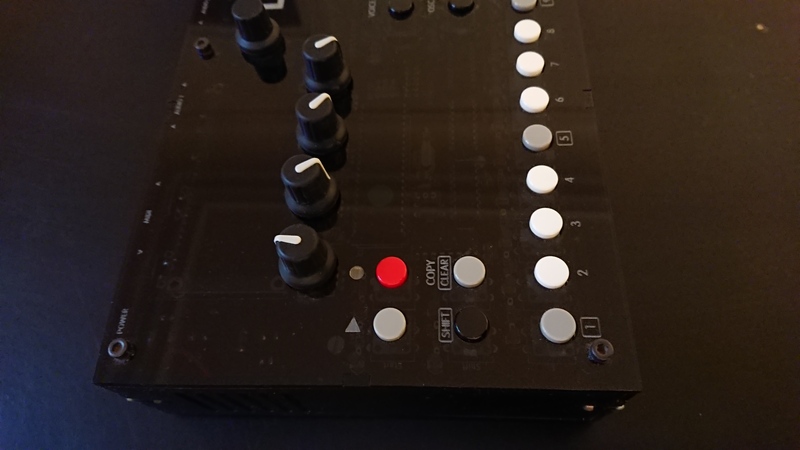 crazymilk57's review (This content has been automatically translated from French)"modern digital"
So it&#39;s a drum machine 7 tracks, each track has an architecture designed to create some sounds, such as an analog box, not like a machinedrum; or each track can accommodate various types of sounds. a small hand, I did ridden by someone I know who is electronic teacher, but I did not have ventured myself, so I would not comment on the ease of it. 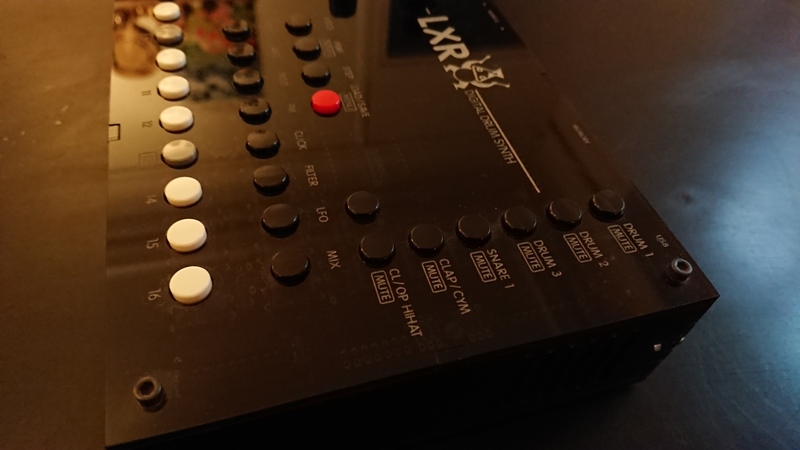 then just drag not&#39;&#39; between&#39;&#39; 16 steps sequencer, you can make drum rolls, and has access to a thirty parameters by type of synthesized sound. using a small sample, can add some colors in the creation of your drums. then the use is great. everything has been following this logic, there are modes, these modes allow you to enter some simple function, for example, in &#39;edit&#39;&#39; you edit sounds, it selects the sound using the button corresponding (1.2 track etc) while a track to mutate in this mode you must press the corresponding function + track. however in pattern mode, you can mute the track by simply pressing keys track but suddenly some functions like edit the sound is no longer available. brief set apart the edition sounds, each mode allows all manipulations in fovarisant some of them. so we can cope well with super easy manipulations has a hand when it was well in hand. for&#39;&#39; less&#39;&#39; we will say that ca miss the knob, the knob but hey it&#39;s expensive, and when we know it goes fast. so it is not so much a concern, I would have preferred encoder ptetre elsewhere. sounds are editable a wish, really great for creating. then the base is a clean structure each type of sound, a kind track three is a typed summary kick or tom with oscilateur and pitch envelopes with full settings, dry kick, rather fat, distorted, must really burst has its merits create sounds and ca&#39;&#39; bump&#39;&#39; very hard. May 1 cymbal voice or Calp, many possibilities here, I really loves it. So each voice type a&#39;&#39; system&#39;&#39; virtual set with oscillator, envelopes, etc., for the type of sound is synthesized. more there is a global mode with volume, pan, etc., for each voice, logic. we have the ability to mix various small samples of each sound to bring slamming, presence, or a different color, this is a very nice. then he fau know that you can always switch between two kits, a classic kits that can be selected at the outset, and a secondary kit that can be loaded in a slot, useful for creating variations within a song, or ensure smooth transition because you can mix between the two kits. going from one to the other, continuous manner. 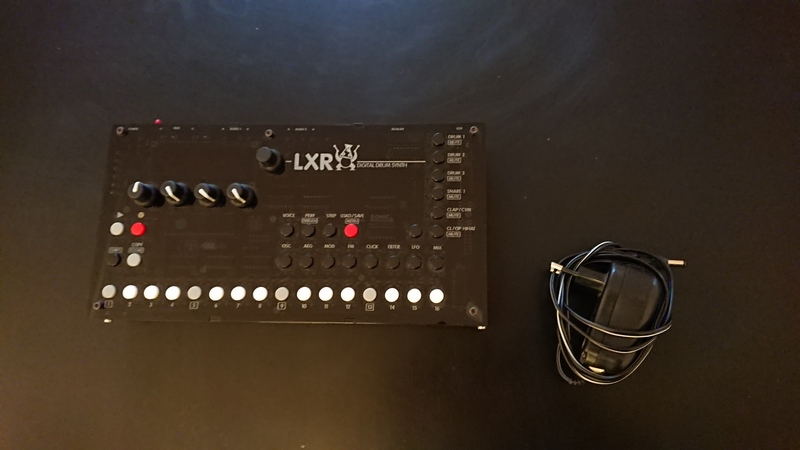 it has a sample discount on all kits too, and that the sounds really good, coupled to the&#39;&#39; &#39;&#39;&#39; change kit, ca can find new new sounds, and have a good time live. so the sound is digital in the best sense of the term, it means a lot of possibilities, cold OR hot, precise, dynamic. excellent. so I use it for over a year, I used a Machinedrum and also maschine. the sound is for me better than md, especially the synthesis parameters are more effective on my side. I like to have a list of fairly large number of machines rather than setting, it is not easy to explain but I prefer. in short, a great machine for live, claps, ca potato is accurate, we control, on the one hand is played, it is light (very light even) beautiful (mine in the transparent box with apparent component, j&#39;adore! I would resume a soon as my finances permit because unfortunately I have to part with it, but too glad I took it because I now know what it sends. I hope that this review will have helped your choice, because there is really very little about this machine on the net and even here. 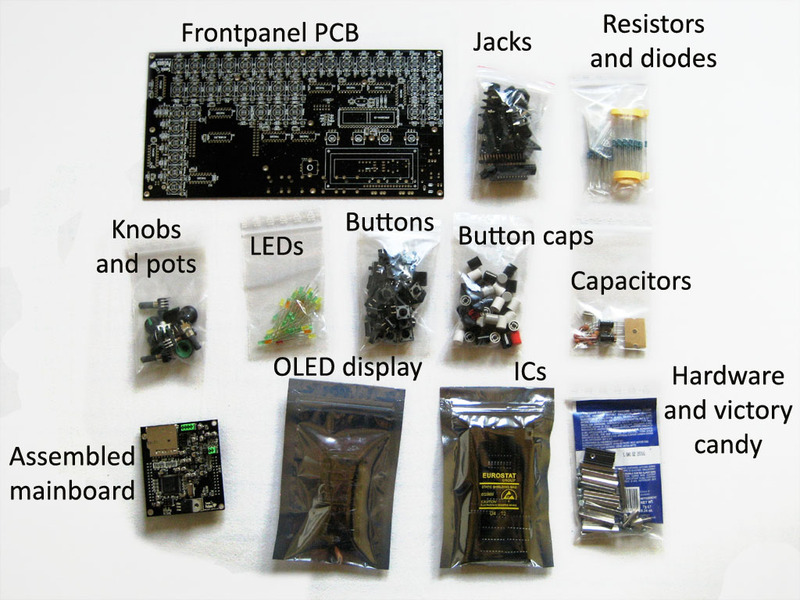 Sonic Potions finally named its new DIY groovebox, and announces that it will be available for purchase on June 28th.